Upon opening this little book, the reader will immediately recognize that he or she is reading writings that are simultaneously deeply devotional and expressive of Self-Knowledge. This is Parabhakti, supreme devotion. After some initial quotations from Sri Ramana Maharshi and Adi Sankaracarya, the first two chapters describe bhakti (devotion). The third chapter describes the experience of the bhakta (devotee). The fourth and fifth chapters explain the continuous absorption in devotion to God and Guru. The sixth chapter describes the practices, activities, and attitudes of the bhakta. The seventh chapter describes absorption, through bhakti, in jnana (Knowledge). The entire book is very aphoristic in style, yet it fully, precisely explains all aspects of non-dualistic devotion. 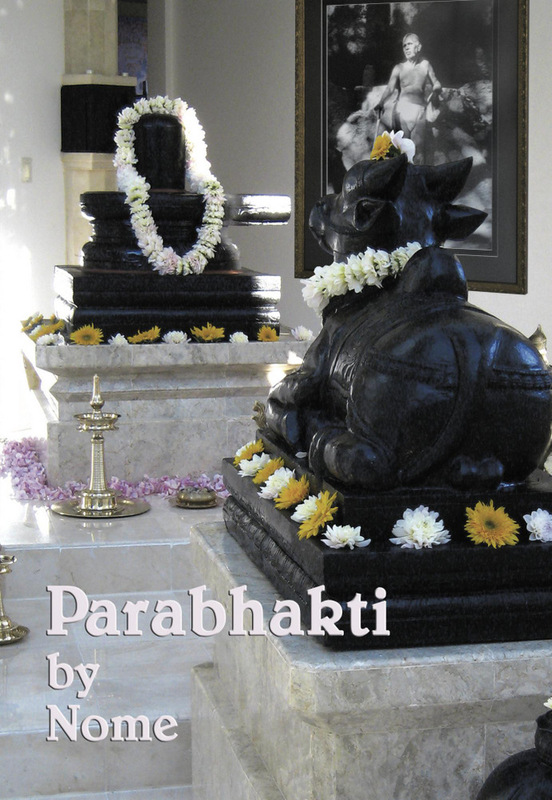 The second part of Parabhakti consists of verses of devotional praise fused with the knowledge of Advaita Vedanta. They are addressed to Lord Siva and “the One like space,” and speak of inquiry and grace. If a spiritual seeker practices pure, egoless jnana, bhakti is unavoidable. If a seeker practices pure, ego-less bhakti, jnana is surely inevitable. The glorious heights of devotion and knowledge are revealed here in this little book, and we are assured that the identical experience and realization are available to all. If the contents of this profound book are deeply meditated upon, the reader will experience the sweetness and the vastness of parabhakti. in That, as That, is bhakti. 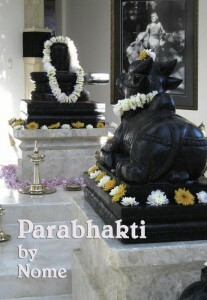 ~ Parabhakti is now also being printed and distributed in India through Amazon.in, Flipkart.com, and Pothi.com.